There are different signs for knowing you need rebranding in your business. Rebranding is the part and parcel of most businesses. It is necessary if you want to keep your business in shape. Companies that don’t employ rebranding risk slipping away from competition. Overlooking rebranding can also make a company lose money, opportunities and time. 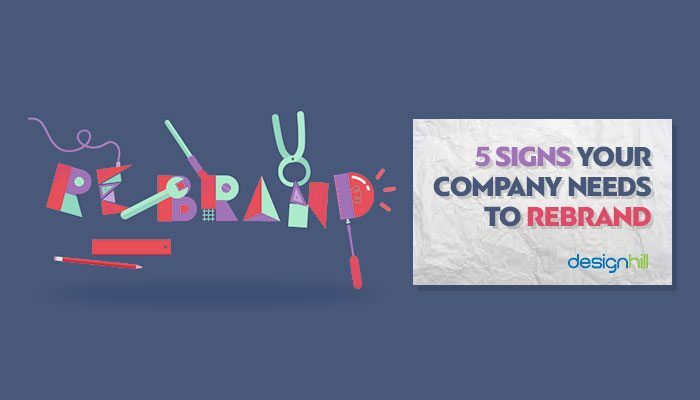 Therefore, it is vital for a company to identify the right time for rebranding. Here are the things you need to consider. You need to rebrand when you have grown significantly to make sure your company’s scope of service has a maximum exposure to the market. Any successful brand must be wary of their original position in a competitive market. The rebranding does not have to be a big one. Even a smaller rebranding can make an impact. For example, New York Times recently knocked the door of designer for logo redesigning to reflect the video contents available on their platform. The efforts are already making some positive impacts on the company’s revenues. Sometimes the success may be huge to an extent where the business has to change to offset the supply-demand deficit. Netflix had to rebrand and change its scope of service to production. With the growing rate of customer demand, any business that is successful should never stay comfortable in its old skin. Sometimes you need rebranding if things are not working well with the current bunch of customers. Sometimes the business may operate successfully with unwavering support. If you experience a decrease in sales or you want to diversify, rebranding can be the ultimate choice. You have to rebrand in order to reach out to new customers and improve sales conversion rates. Define your brand to tell the consumers what your business stands for. Create a checklist of the strengths you have and look at the skills and the expertise you possess. Differentiate and position the brand so that you can woo customers and stand out from your competitors. You must create a long-lasting impression on the minds of customers by building unique and attractive colors and other branding elements. Don’t forget about the brand personality and ask for feedback from your prospects. Customer feedback is always useful because it allows you to have a true picture of how people perceive your brand out there. Your brand might be outdated and in need of a facelift. We live in a world that is constantly changing with the advent of new trends. What was appealing two decades or five years ago may not stand out now. For example, Apple, which is one of the leading electronic companies in the world, had to go through a series of rebranding in order to stay relevant in a fast-paced world where consumers are looking for intuitive designs and new experiences. The company had to change its logo to something universal. With time, they have transformed the brand into a more visually impressive and less complex design. A new brand attracts a group of consumers, especially the millennials, who are on the lookout for new trends and best products that meet their needs. An outdated brand is one of the sure signs for knowing you need rebranding. The online and offline reputations of your business are essential for its survival. If your company suffers from constant online and offline attacks, it might compromise its reputation if you do not do anything. Rebranding can help your company escape the negative effects of a bad reputation before it is too late. Take Burberry for example, the company was considered a “gang wear” by people who thought that it was popular among hooligans. Under a new leadership, the company rebranded and transformed into one of the hottest celebrity fashion labels in the UK. The new look gave the company an opportunity to start from a clean slate and improve its services. Just like Burberry, redefining your brand will enable you to restructure and establish a new culture in way that shows the public that you are willing to move beyond the situation. Another organization that made a strong comeback from a bad reputation is LIVESTRONG Foundation after a doping scandal that hit one of its chief contributors. You need to differentiate yourself from other brands in the market. Brands that kill their competition are those that are willing to rebrand in scenarios where there are so many close variants scrambling for the market share. Rebranding shows that you are brilliant and different from others. The best way to differentiate yourself from others is to understand your customers. Offer them something they have not experienced before. For example, a personal injury brand can present an injury as something more than the pain and the claim. You can visually realign your brand to communicate with customers in a unique and revolutionary way. Branding is a sure way to define your business to the customers, the team and yourself. The signs for knowing you need rebranding discussed above will give you a clear guideline on when and how you should rebrand. Next Next post: How Does a Professional Logo Design Determine the Visibility of Your Brand?